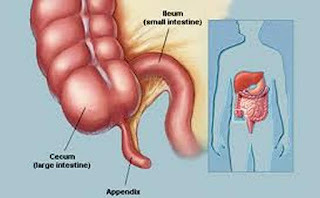 Cancer of the appendix is rare and you may think it is not so dangerous because appendix is a small pouch that the purpose in not known so the organ is not so vital to human. Living without an appendix is not a problem. However, appendix cancer is something that you could not neglect. Cancer is cancer, anyway. It is dangerous because it could spread to other organs and cause huge problems to your health. In the case of appendix cancer, sometime it is slow growing and sometime it is very aggressive. In bad cases, it could be life threatening. In the appendix, there could be a condition called pseudomyxoma peritonei. This is not a cancer but it could develop into a cancer. Hence, do not afraid but should be careful for possibility of cancer. Cancer of the appendix is classified into four primary types. The first one is slow growing and the most common called carcinoid, adenocarcinoid, and goblet cell appendix tumor. The second one is colonic-type adenocarcinoma, which occurs near colon. The third is non-carcinoid appendix cancer that starts in the appendix wall and produce mucin (thick and sticky substance) that become dangerous when it flow through abdominal space and disturb the function of digestive organs. The fourth is the rarest but most aggressive called signet-ring cell adenocarcinoma. Symptoms of pseudomyxoma peritonei and appendix cancer could be similar such as inflated abdomen due to build up of fluid. Sometime, it is similar with appendicitis such as lack of appetite, nausea, constipation, diarrhea, and pain in lower right section of abdomen. To ensure whether it is cancer of the appendix, several tests may need to be performed such as ultrasound, CT Scan, MRI, radionucleotide scan, and biopsy. Once diagnosed, staging would be performed and treatment should be planned. Treatment for appendix cancer is commonly combination of chemotherapy and surgery. First, the patient will treat with systemic chemotherapy to reduce the size of tumor. Then, it will followed by surgery and hyperthermic intraperitoneal chemotherapy. Nevertheless, cancer of the appendix may cause different condition that could make the treatment different for different patient.